The intelligent Phantom Gaming 2.5 Gb/s LAN platform is built for maximum networking performance for the demanding requirements of home networking, content creators, online gamers and high-quality streaming media. Boost networking performance up to 2.5x the bandwidth compared to the standard gigabit Ethernet, you'll enjoy the faster and uncompromised connectivity experience for gaming, file transfers and backups.In addition to the built-in RGB illumination, it also features onboard RGB headers and an addressable RGB header that allow motherboard to be connected to compatible LED devices such as strip, CPU fans, coolers, chassis and so on. Users may also synchronize RGB LED devices across the Polychrome RGB Sync-certified accessories to create their own unique lighting effects.A new world of cinematic audio that delivers unprecedented levels of audio realism, dynamics and punch to gaming sound. Whether you're gaming or watching a movie, Reality 3D technology lets you enable 5.1/7.1 surround sound for an additional layer of transience to your listening experience even with just a pair of headphones or stereo speakers. The intelligent Phantom Gaming 2.5 Gb/s LAN platform is built for maximum networking performance for the demanding requirements of home networking, content creators, online gamers and high-quality streaming media. Boost networking performance up to 2.5x the bandwidth compared to the standard gigabit Ethernet, you'll enjoy the faster and uncompromised connectivity experience for gaming, file transfers and backups. A new world of cinematic audio that delivers unprecedented levels of audio realism, dynamics and punch to gaming sound. Whether you're gaming or watching a movie, Reality 3D technology lets you enable 5.1/7.1 surround sound for an additional layer of transience to your listening experience even with just a pair of headphones or stereo speakers. 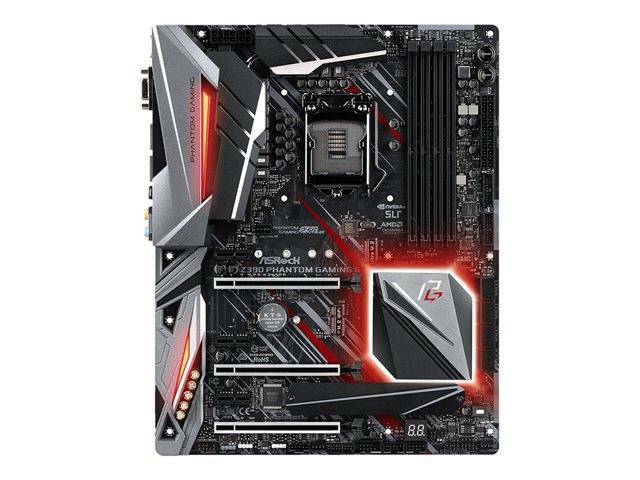 Equipped with M.2 slot that supports both SATA3 6 Gb/s and PCIe Gen3 x4 Ultra M.2 interface that pushes data transfer speeds up to 3Gb/s, and is compatible with ASRock's U.2 Kit for installing some of the U.2 PCIe Gen3 x4 SSD.